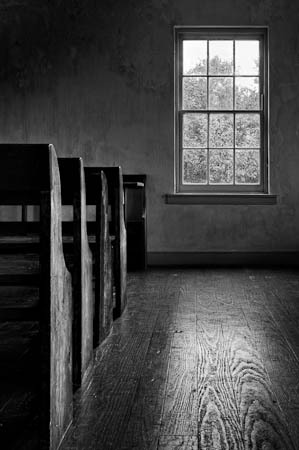 Yesterday was yet another dark, gray day, so I took a ride over to Antietam and photographed the Dunker Church. The small structure has been well restored without losing its 19th century flavor. The cloudy weather outside provided a lovely, soft natural light for the interior. ~ by Admin2 on October 4, 2011.